Do you ever look at a craft project and put it off for no reason? I’ve been stuck in a bit of a rut lately and am finding it so difficult to pick up any craft projects. 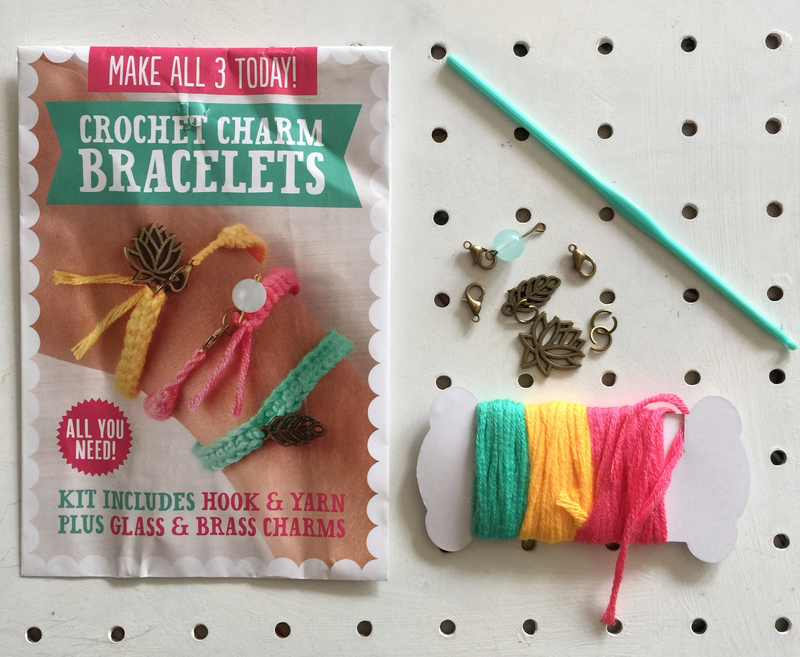 Last night I finally took the latest Mollie Makes cover gift, a crochet charms bracelet kit, out of its packet. Now everyone knows I can’t crochet so I feel a little sad when I see beautiful crochet projects everywhere. However, part of the fun of being creative is re-imagining things so I took the contents and made them a different way. 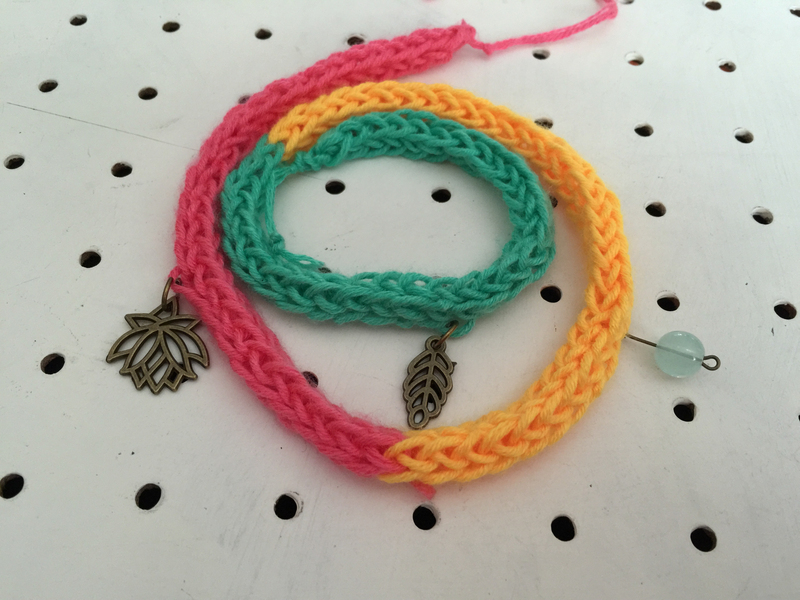 The Mollie Makes crochet charms bracelet kit from issue 57 contained a plastic crochet hook, 3 colours of yarn, and a couple of brass and glass charms. Instead of making 3 crochet bracelets I knotted the three lengths together and used a knitting doll to make one long piece. 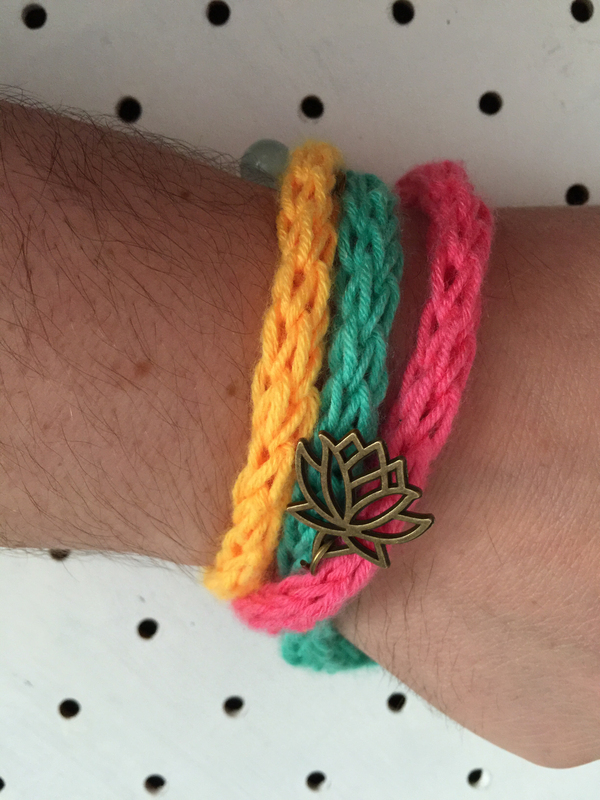 I attached the three charms along the finished length and knotted it around my wrist. Such a cute little kit. I can’t crochet either so this kit would’t be much use to me either.